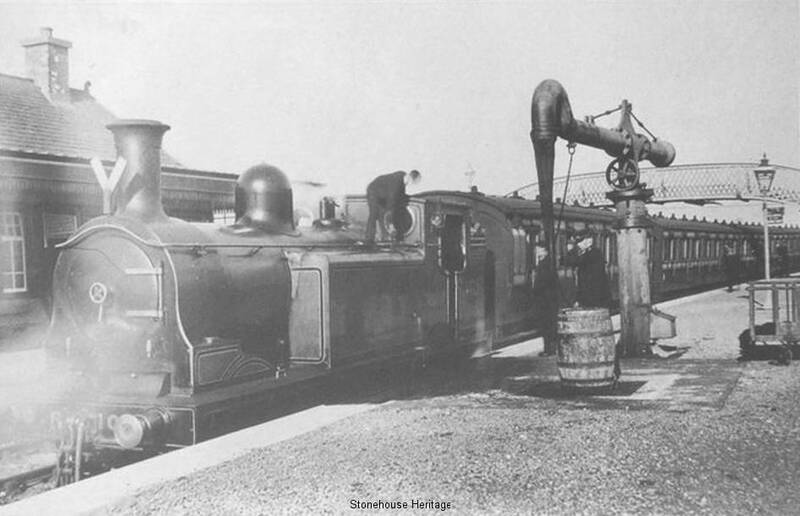 The Caledonian railway development started in the 1830’s when it was decided to extend the railway to Stonehouse and Strathaven in 1897. 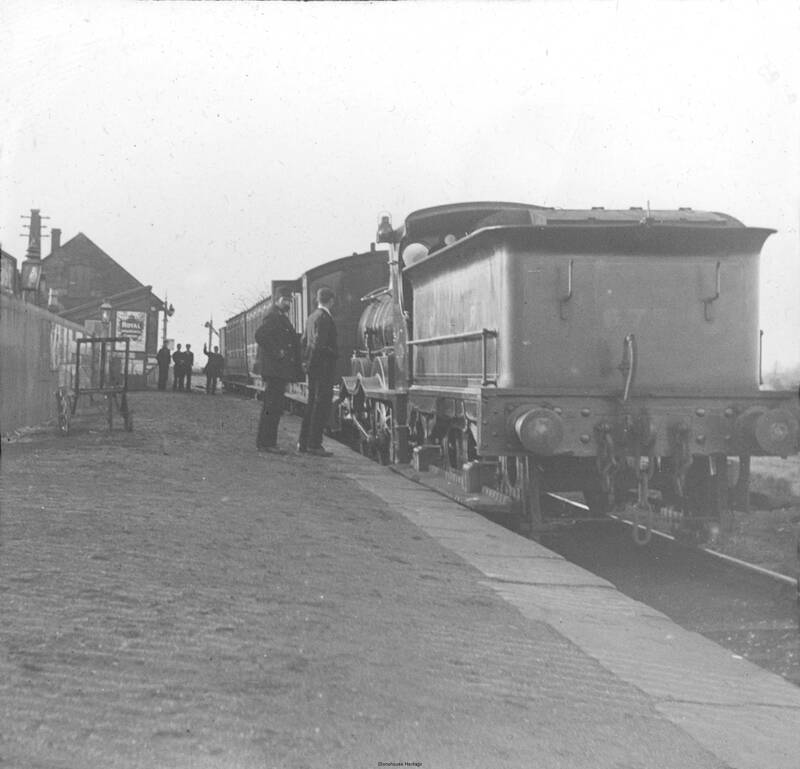 The first railway into Stonehouse was the Lesmahagow Branch of the Caledonian Railway which left at Dalserf Junction. 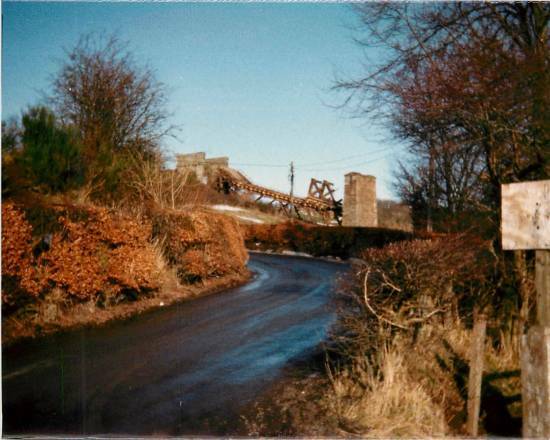 The Lesmahagow Branch was connected from the Wishaw and Coltness Railway at Motherwell to Bankend near Coalburn, tapping into the rich coalfields along its route. It opened to mineral traffic on 1st December 1856. 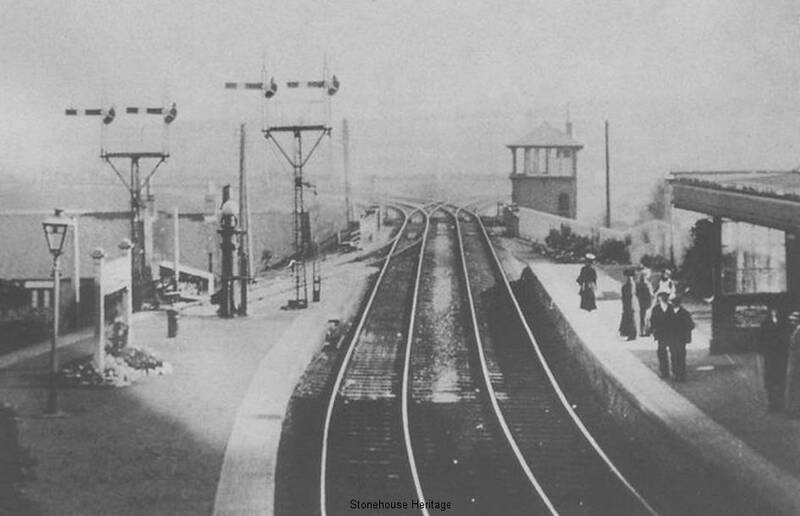 The Stonehouse Branch was opened in two stages, Dalserf Junction to Canderside on 1st September 1862 and Canderside to Cotcastle on 1st September 1864; with a station in Stonehouse. 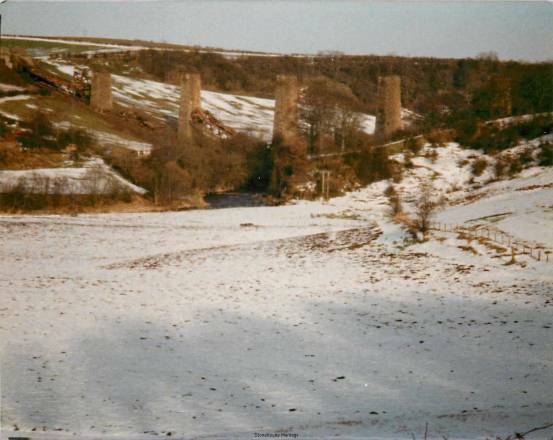 The Cander Water Viaduct was built in 1860 and carried the first railway line in to Stonehouse. It came from Dalserf Junction (Ashgillhead) to Birkenshaw, to Stonehouse then to Cot Castle Terminus. This particular line was changed when the Stonehouse and Larkhall Viaducts were opened in 1905. 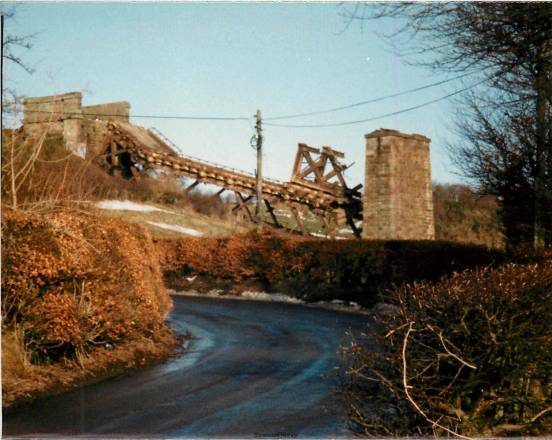 The line at this stage carried only goods and mineral traffic serving the many pits and works, with the terminus at Cotcastle serving the local agricultural community. 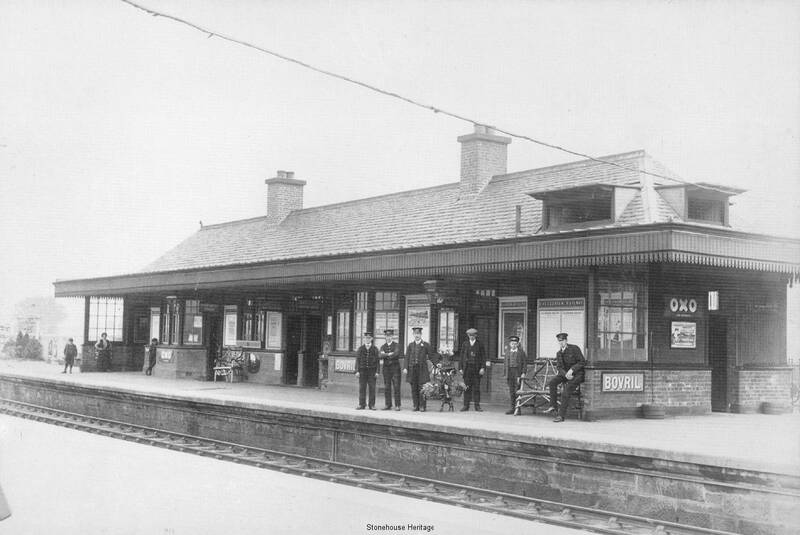 The Lesmahagow and Stonehouse Branches were then opened to passenger traffic, with trains running to Ferniegair from the 1st December 1866 and through to Motherwell and Glasgow Buchanan Street from 1st April 1868. Horse buses provided a connection from Ferniegair to Hamilton West Station for Glasgow South Side, running until 2nd October 1876, when the direct line from Ferniegair to Hamilton was opened. The Lanarkshire trains were then transferred to the South Side, which they used until 1879 when they were accommodated in the new Glasgow Central Station. The station at Stonehouse was located between Lawrie Street and Vicars Road on the edge of the village. 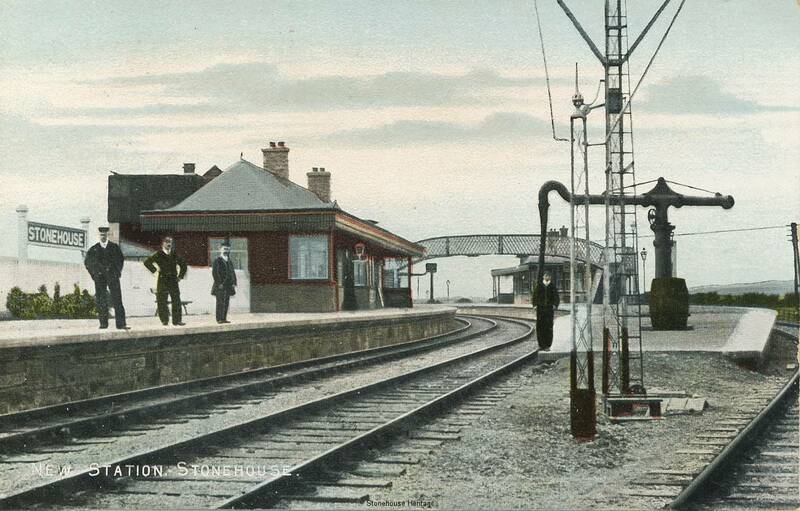 Stonehouse Station had four platforms, a foot bridge, two signal boxes, two water pumps (for filling the locomotive tenders up with water for the boilers) and a goods shed. These early lines enjoyed great success. 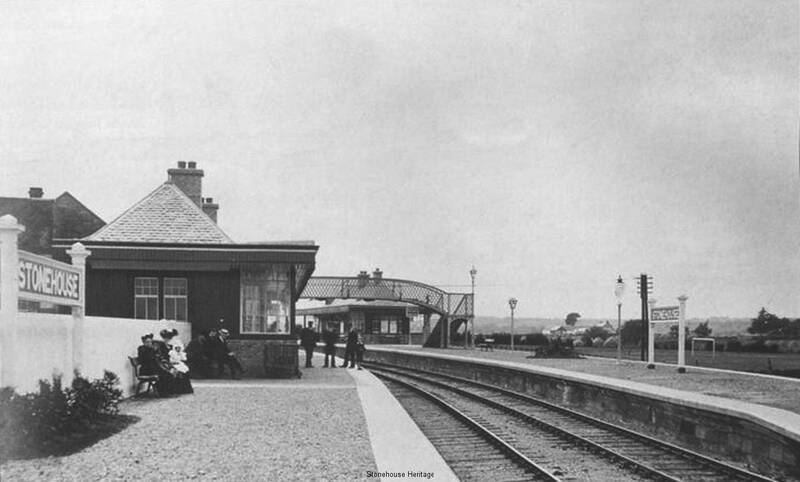 The only other railway in the area was the Hamilton and Strathaven railway opened in 1863, running via Quarter to a terminus at Flemington on the outskirts of Strathaven. 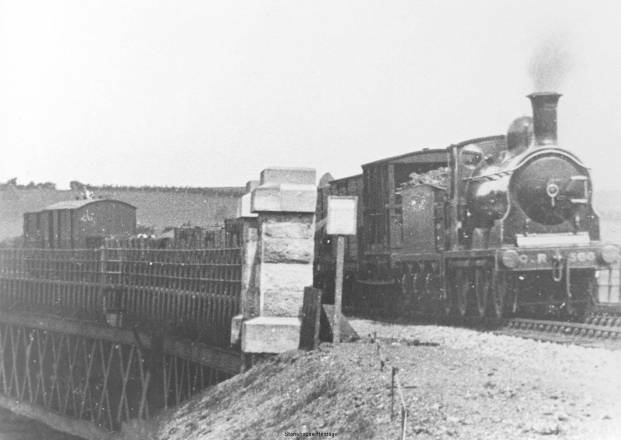 However, the need for expansion became apparent and the Caledonian Railway applied to Parliament for authority to proceed. The Act was granted in 1896 and was known as the mid Lanarkshire Extension Lines Act. This allowed the Caledonian Railway to make extensions. 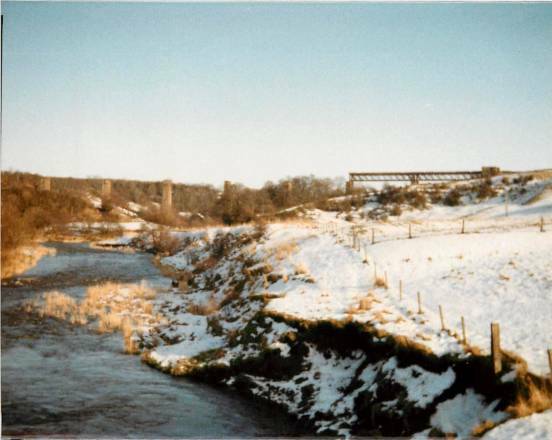 These were the Merryton Junction on the Lesmahagow Branch to Stonehouse; Stonehouse to Coalburn; Cotcastle to Strathaven and the Strathaven to Glasgow and South Western Railway line coming from Darvel. 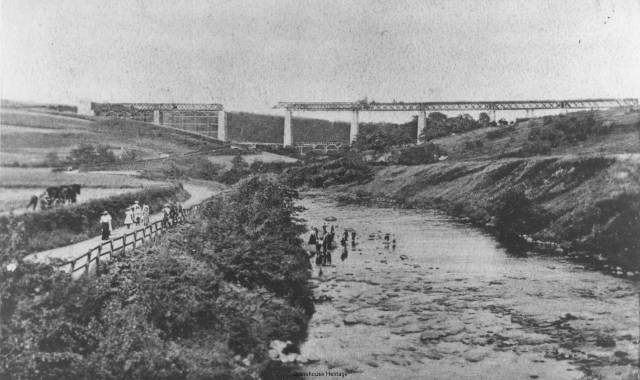 The line from Merryton Junction to Stonehouse required two large viaducts to be built over the valley of the river Avon. 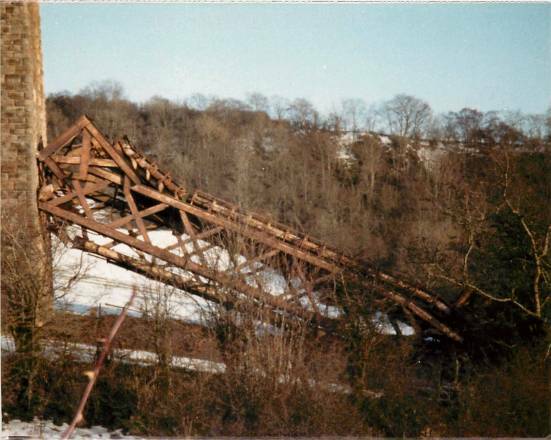 Larkhall viaduct is a six span steel truss bridge built on the straight, on a rising gradient of 1 in 80 towards Stonehouse, 530 feet long and 170 feet high. The spans were carried on masonry piers of locally quarried stone, whose foundations sat on a bed of solid rock 60 feet below ground level. 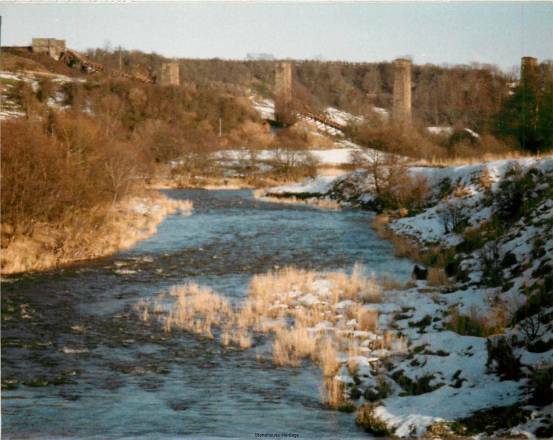 The viaduct contained 1399 tons of steel and was reputed to be the highest in Scotland. It was also subject to a speed limit of 15 miles per hour to trains passing over it. 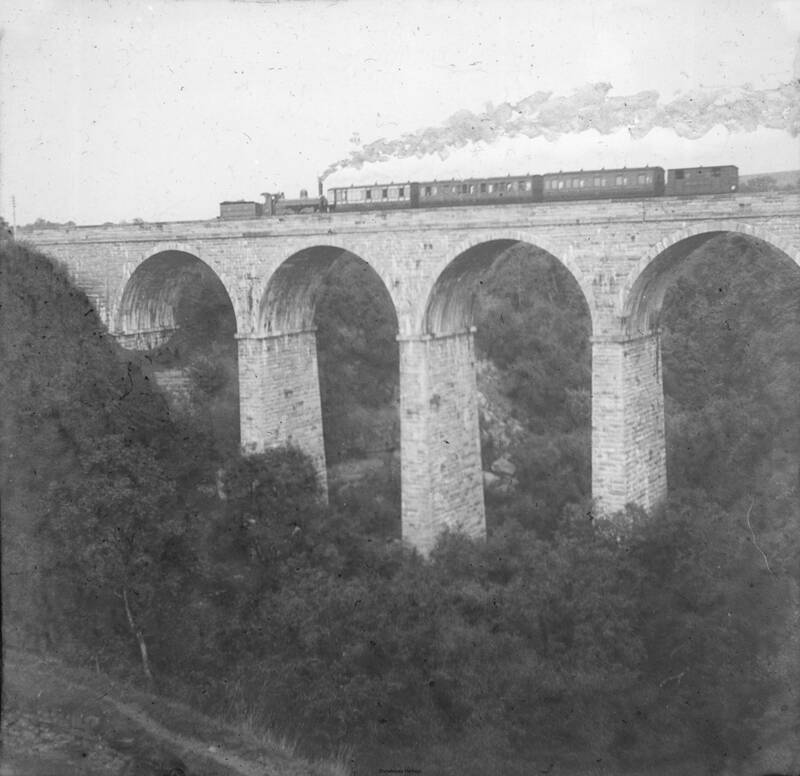 Stonehouse Viaduct was of similar construction built between 1903and 1904. 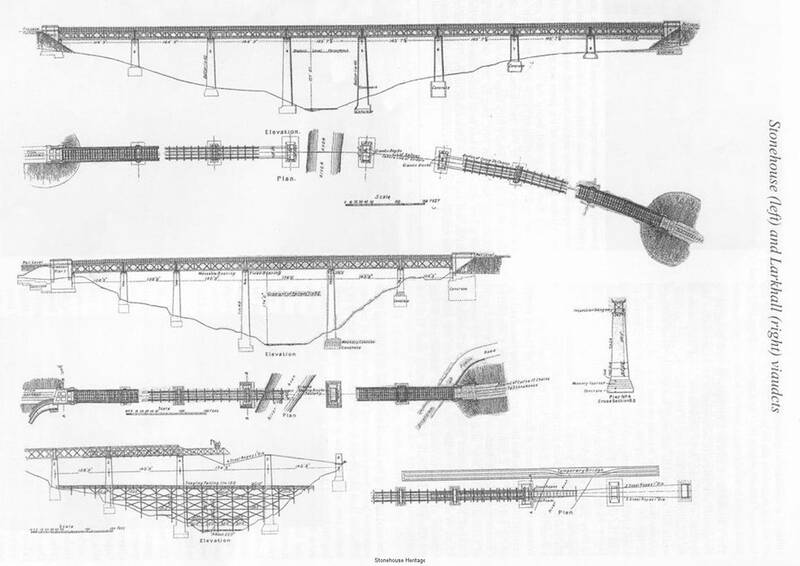 This was an eight span steel truss bridge built level on a curve 158 feet above the river, 457 yards long and contained 2273 tons of steel. 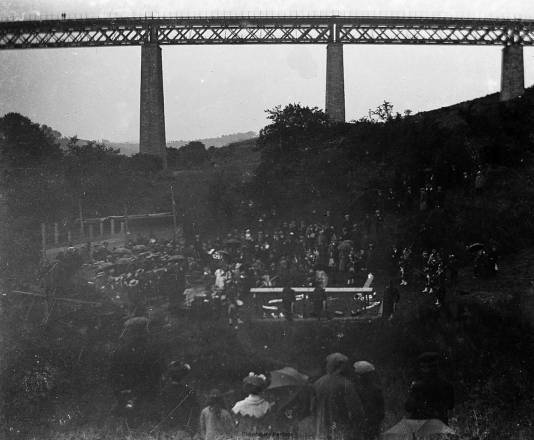 Both viaducts were built by Arrol and Company of Glasgow, incorporating expansion joints on the tops of the piers to allow for the creep of the steel during hot weather. 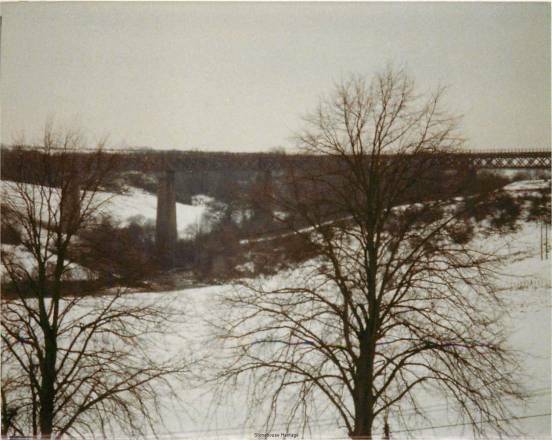 Whilst the viaducts were built wide enough for double tracks, only single track was ever laid on them. 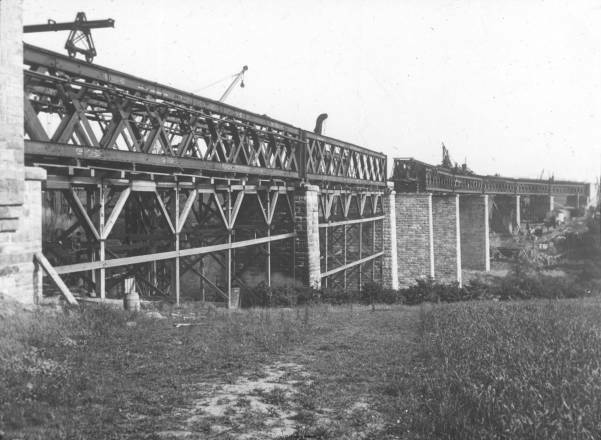 Most of the construction workers were Irish labourers.These new single track lines were operated by the electric token block system between the crossing places. 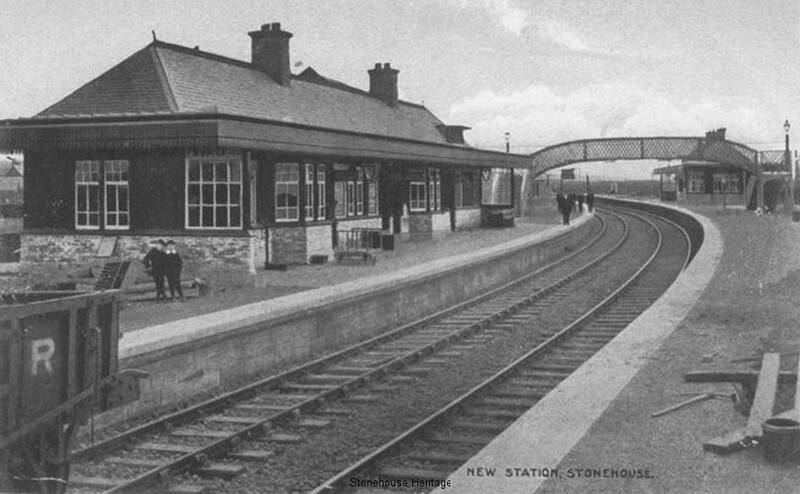 To cope with increased social and commercial demand, Stonehouse station was greatly enlarged and opened in its new form on lst July 1905. 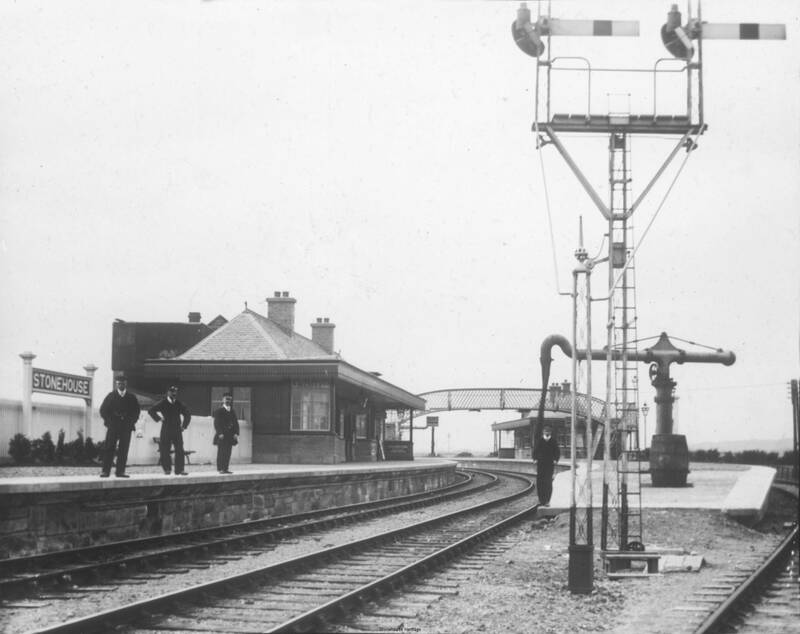 At the same time as the new lines opening, the station had changed from a small platform on a branch line, to a busy junction. 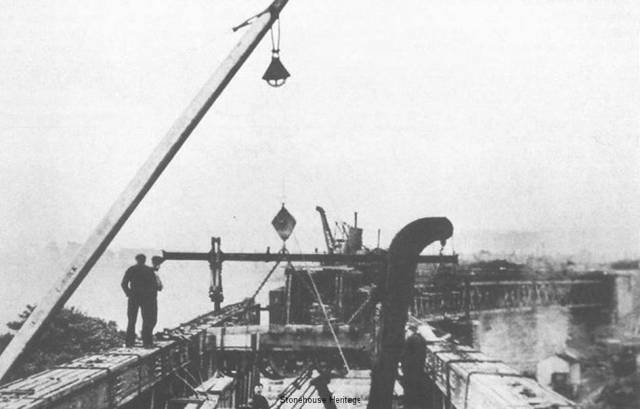 It now had two main platforms, a loop platform and a bay platform. 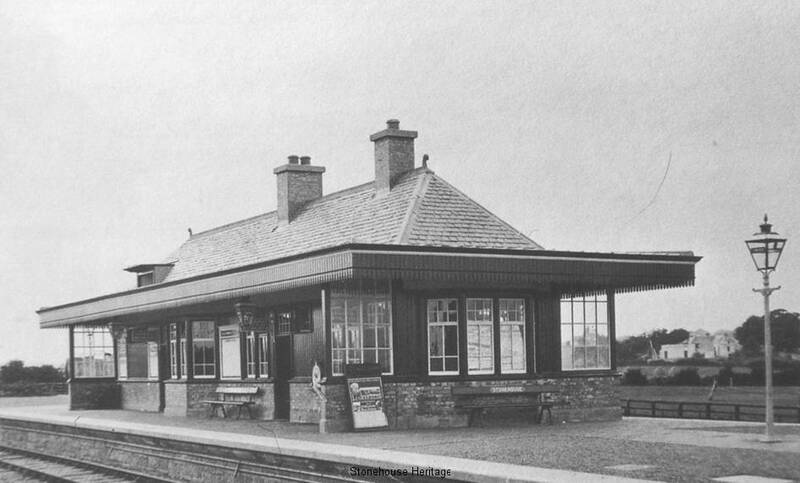 The latter was used to provide a Strathaven connection. 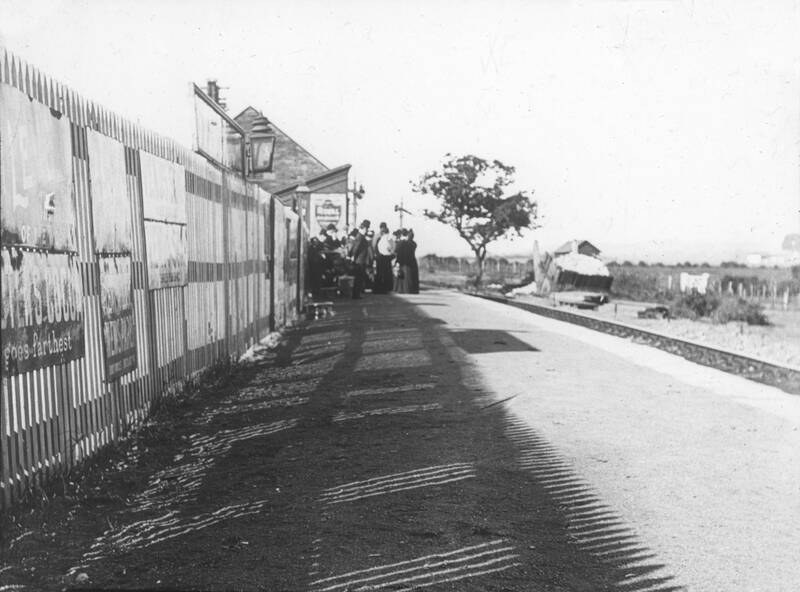 If the train was proceeding to Coalburn, the connecting train used the bay platform. Two signal boxes controlled traffic to the Stonehouse East and West Junctions with the station platforms between the boxes. A water column for locomotive purposes stood on the main platform. There was also a large goods yard with a stone-built goods shed, with a crane on the village side of the station and housing for key staff on the site. 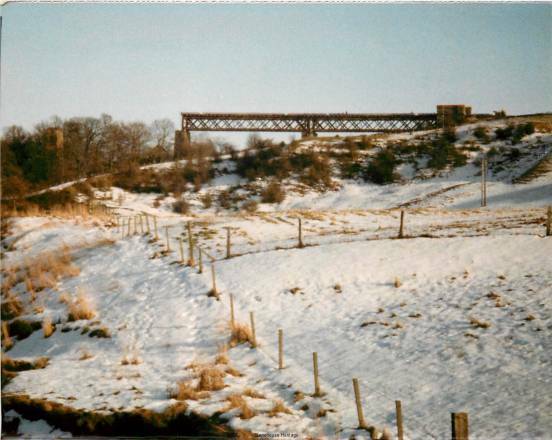 A link line from the Strathaven line to the Coalburn line, allowing direct running between the two, bypassing Stonehouse Station, was constructed at this time but was never connected for some reason. A steady traffic built up with the farmers carting their milk to the station every morning. Livestock, butter, eggs and all manner of produce were also carried. In return they collected coal, fertilisers and other requirements. The local merchants and tradesmen used the station to receive and forward goods. A healthy passenger traffic built up with Sunday school trips in Summer from the industrial parts of Lanarkshire to Stonehouse park. Local schools and churches used the trains for their away days. In the 1930’s there were direct evening excursions to Troon, Prestwick and Ayr costing 1/3d return. Passengers would find accommodation in the evening and return from their excursion the following day. There was also a steady year round traffic with passengers travelling to and from work and people using the trains for social purposes in the evenings. In the days before the universal use of motor vehicles goods went by train and everybody travelled by train. There were also coal trains passing through at all hours from the many collieries in the area and empty wagon trains returning to the pits. As the coal companies owned the wagons they had to go back to the owning colliery, as they alone were allowed to use them. 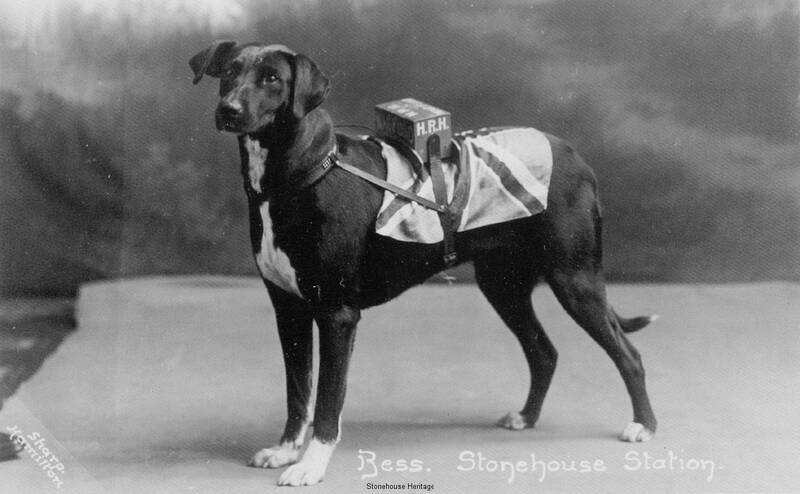 The station became, in time, the heart of the community, and the Station Master became an important member of it. James Wyper served as Station Master before the turn of the century, retiring in 1901, after 40 years service. He was replaced by David Smith and later James Rattray. On 1st January 1923 the Caledonian Railway become part of the London Midland and Scottish Railway. By the early thirties the motor bus and the motor lorry were making serious inroads into the traffic dealt with at the station. The milk traffic was lost when the Milk Marketing Board undertook to uplift direct from the farms by lorry. The passenger traffic suffered from bus competition. The company began to run diesel rail buses on some of the lighter loaded services with limited success. In 1935 the Stonehouse East Junction Box was closed when the service was withdrawn from the Dalserf Junction / Stonehouse section and the branch cut back to Canderside to serve the collieries in that area. In the early thirties a lady was in charge of this signal box and on its closure the Stonehouse West signal box was renamed simply ‘Stonehouse’. 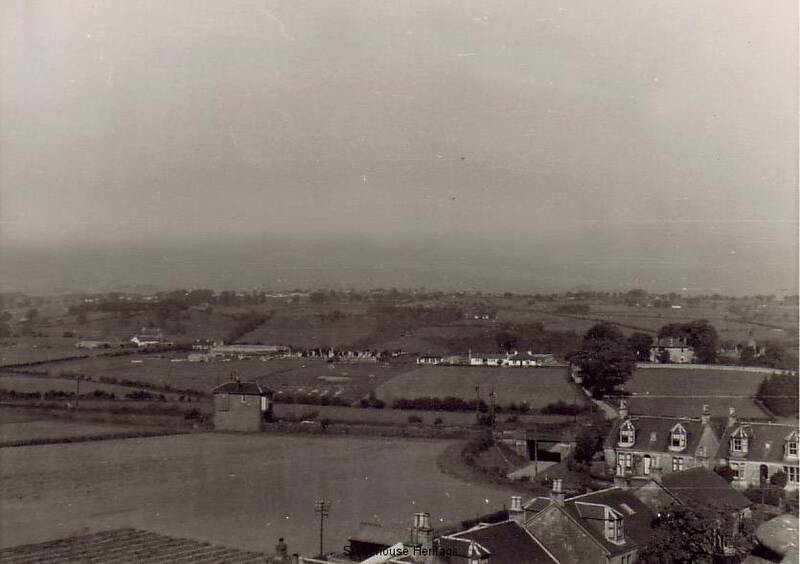 The section from Strathaven to Darvel was next to close in 1939, but the track was left in position and was used to store wagons awaiting repair. During the war at one point there was a solid line of wagons from Strathaven to Darvel. This section was lifted after the war finished. 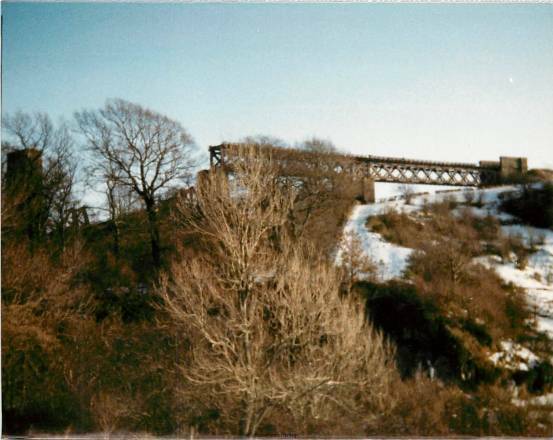 The masonry viaduct on the Dalserf Section was no longer used and was blown up by the Canadian Army in 1942 as a training exercise. 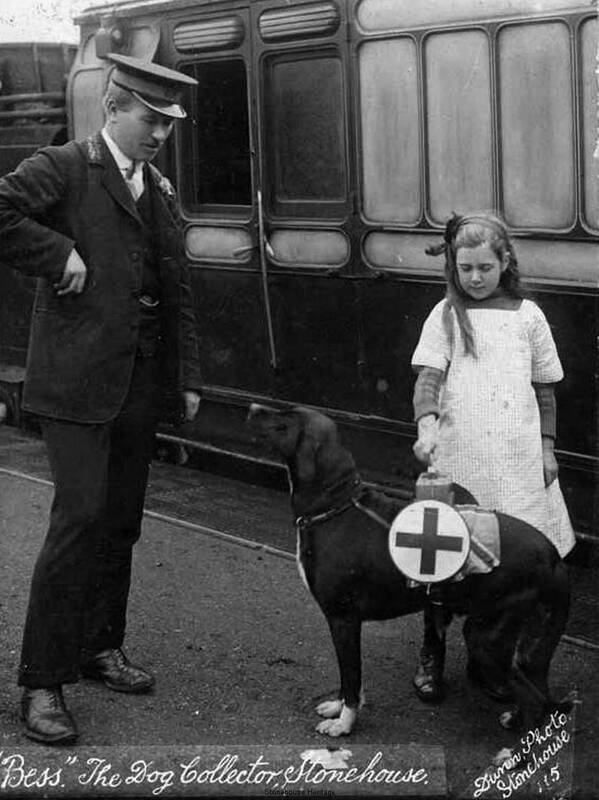 The railways of Britain were taken over by the Government in 1948 becoming British Railways. 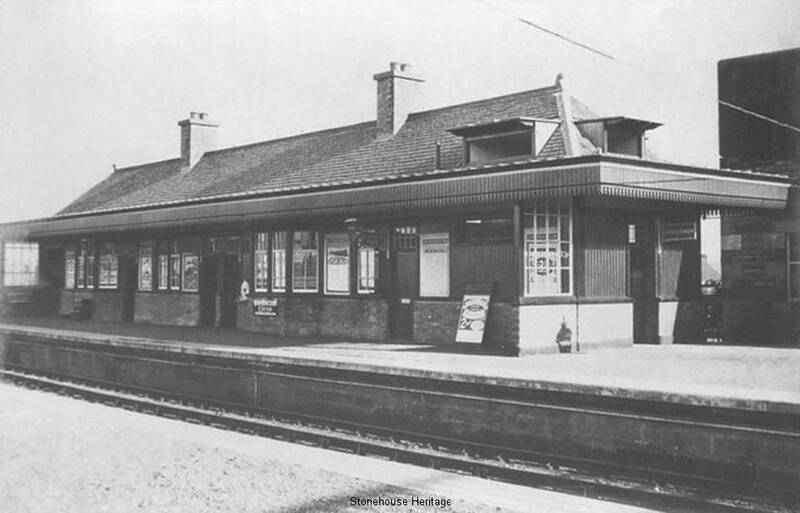 Passenger services ended on the Lesmahagow Branch in 1951. 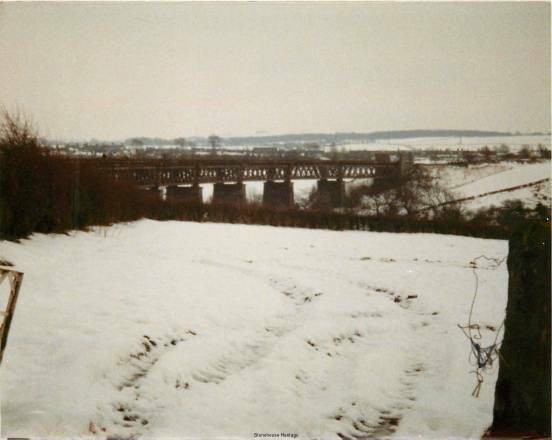 On 4th October 1965 under the Beeching Plan, the Merryton Junction to Stonehouse; Stonehouse Strathaven; Stonehouse Coalburn lines all lost their passenger services. These lines lingered on for a few more years for mineral traffic but were closed when the pits they served were worked out. 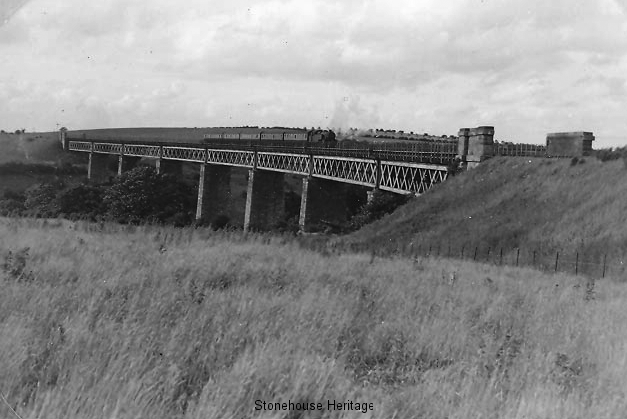 Although the rails were lifted, the bridges in the Stonehouse area were left intact, as there was a proposal that Stonehouse would become a new town and the railway would be required again. 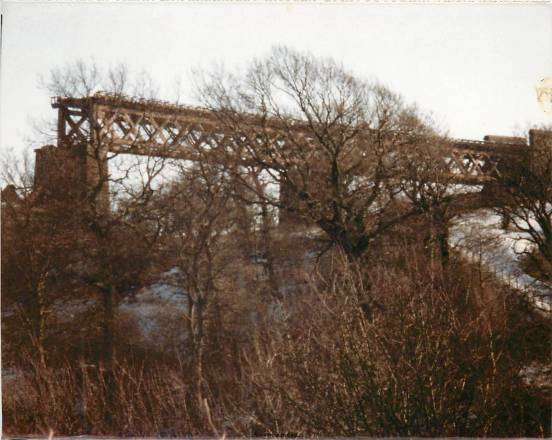 However this fell through and the Stonehouse Viaduct was blown up for scrap in 1984 yielding 2273 tons of high quality steel scrap. 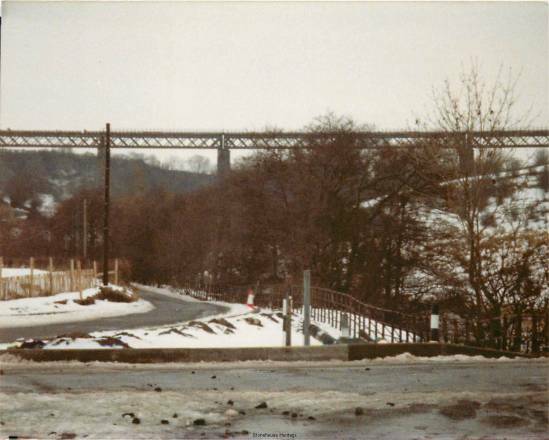 There was a railway siding at Canderside Toll, known locally as The Lye, which handled coal that came from Canderrigg Colliery and Spioncope Pit. Local coal merchants uplifted coal at the Lye, where there was a weighing machine to weigh each load of coal. 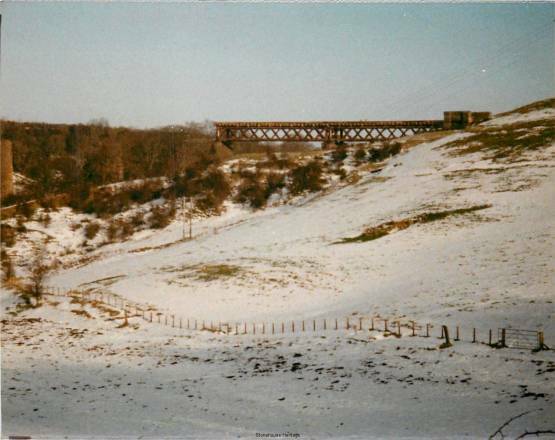 1st Dec 1866 – Lesmahagow line (Ferniegair to Brocketsbrae) opened for passengers.